Since late June, Martian dust storms have been sweeping over most of the planet — and the Mars rovers. 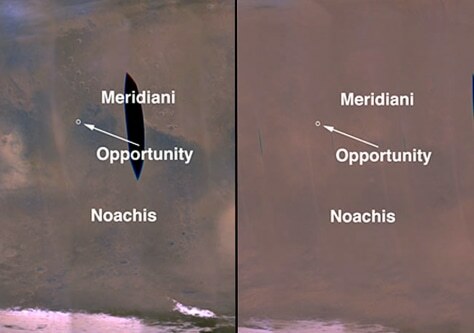 The view at left was captured by NASA's Mars Reconnaissance Orbiter on June 22 (with a black data dropout in the middle). At right is the same view from July 17.